Rising from the ashes of a semifinal defeat, P1 edges FlyQuest 3-2. 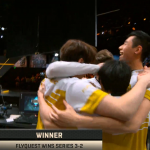 In an exciting start to the final weekend of the 2017 NA LCS Spring Split, Phoenix1 narrowly defeated FlyQuest 3-2 to win Saturday’s best-of-5 and end the season in 3rd place. 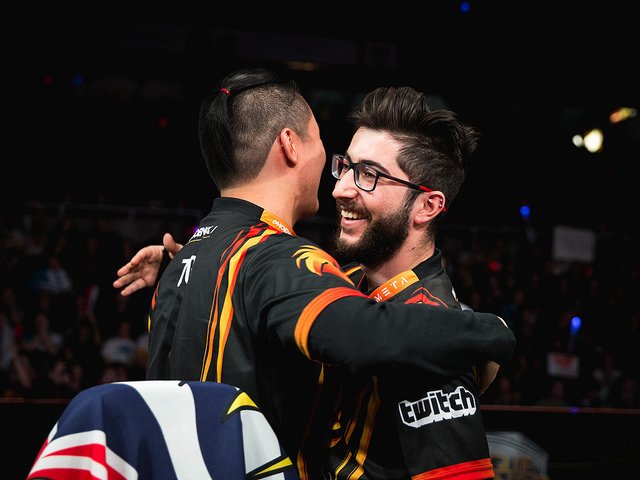 With this win, Phoenix1 has earned 50 championship points towards qualifying for the 2017 World Championship and have established themselves as true contenders for the upcoming summer split. FlyQuest will end its inaugural season in 4th place and will begin the 2017 Summer Split with 30 championship points. 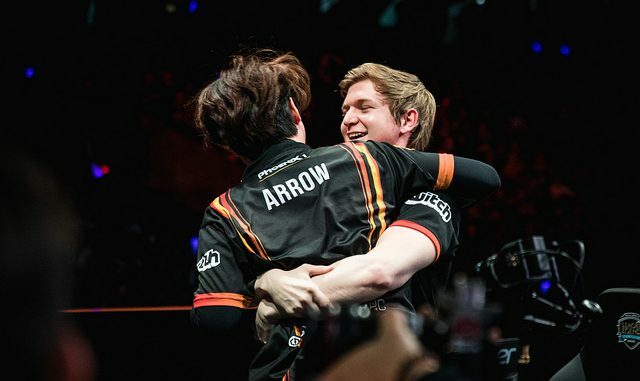 Phoenix1 began their third place campaign on the back foot, as support William “Stunt” Chen did not make the trip for personal reasons and P1 decided not to bring jungler William “Meteos” Hartman to Vancouver, so the team would not be able to make any substitutions during their series. The decisions would turn out for the best, as Rami “Inori” Charagh’s Elise was a major force in games 4 and 5 of the series. Inori was one of the key reasons why Phoenix1 was able to claim victory, and it seems the absence of the threat of being benched allowed him to play a confident series. Phoenix1’s Jordan “Shady” Robison and Rami “Inori” CharaghPhoenix1 looked very impressive at the start of the series. A failed jungle invade by FlyQuest led to a quick 3-0 kill lead for P1, and they used their lead to win skirmishes around the map. FlyQuest’s Hai “Hai” Lam looked surprisingly unfocused, getting caught out of position several times and ending the game with a 1-6-0 stat line. P1 as a whole played this first game very cleanly, as Inori, Derek “Zig” Shao, and Ryu “Ryu” Sang-wook all ended the game with zero deaths. The second game was a second wind for FlyQuest, as they looked far more imposing all around the map. When P1 overcommitted on an extended fight in top lane, FlyQuest made a long push in the bottom lane to take down a very early inhibitor turret 13 minutes into the game. FlyQuest’s An “Balls” Le seemed immortal as the team won a series of crucial team fights, culminating in a devastating Johnny “Altec” Ru Pentakill to even the series 1-1. FlyQuest kept up the momentum in the third game, this time using smart strategies to overwhelm their opponents. P1 managed to stay even in kills for most of the game, but FlyQuest used clever rotations to generate a large gold lead off of turret kills. By the 30-minute mark, FlyQuest had secured seven turrets to Phoenix1’s one, giving FlyQuest a comfortable 10k gold lead. FlyQuest’s lead once again allowed for Balls to demolish P1’s carries in team fights, and FlyQuest jumped ahead in the series 2-1. Facing elimination, Phoenix1 dug in their heels in the hopes of forcing a 5th match. For the first 15 minutes of the game, P1 was step ahead, continually outnumbering FlyQuest members in the middle and bottom lanes. Taking control of the map, P1 repeatedly lured hapless FlyQuest members into their deaths with feigned Baron Nashor attempts. Gaining a ludicrous 25-5 kill lead over FlyQuest, P1 easily tore through FlyQuest’s base and sent the series to game 5. As soon as champion select began, it became clear that Game Five would stand out from the rest. FlyQuest had banned Ryu’s signature Leblanc pick in all four games prior, but for the first time this series, allowed it through the first wave of champion bans. P1, without hesitation, selected it as their first pick. 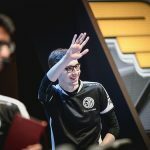 FlyQuest responded by picking Hai’s signature Kassadin, which he had been known to use as a Leblanc counter in the past. As the game loaded in, all eyes were on the middle lane. The matchup could not have started worse for FlyQuest. P1’s Inori caught Hai in an awkward position for an incredibly early 2:22 first blood and Inori soon found Galen “Moon” Holgate in his jungle to set up Ryu for a kill at the 5:01 mark. A massive outplay by Zig in the top lane turned a two-on-one dive by FlyQuest into two kills for P1, as well as allowing the rest of P1 to collapse onto the turret in the bottom lane. Suddenly, FlyQuest found themselves completely devoid of any momentum, and they would never recover from this early deficit. P1’s lead grew out of control though FlyQuest continued to fight for life. 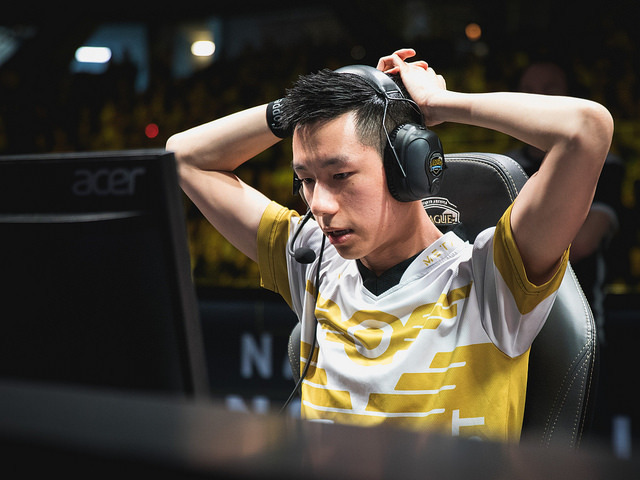 Moon had a particularly impressive performance despite the loss – he single-handedly kept FlyQuest alive several times throughout the game with some amazing Gragas Explosive Casks on P1’s carries. Time and time again, P1 used Baron-empowered minions to dismantle FlyQuest’s inhibitors, and the pressure was just too much for FlyQuest to overcome. 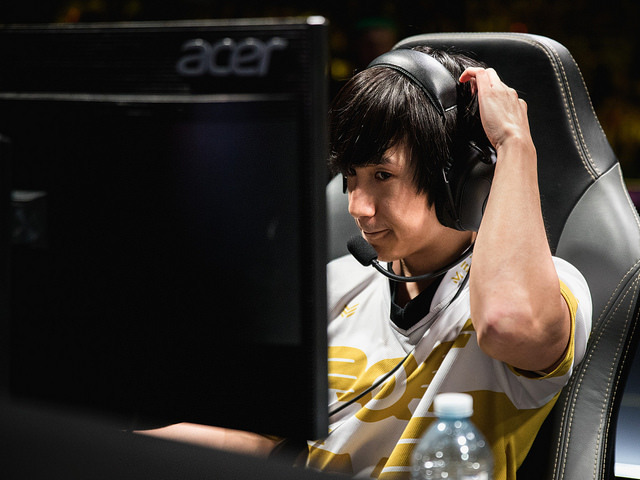 P1’s minions swarmed into FlyQuest’s base, and P1 ended the series to finish the Spring Split in 3rd place. 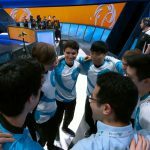 It’s a bittersweet end to the inaugural season for FlyQuest, who few predicted would advance to the stage in Vancouver. 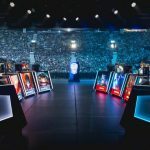 While they can be pleased with the final result, the poor performance by Hai this series begins to raise questions as to whether or not he can contend with NA’s best mid-laners. 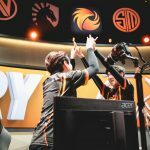 The surprising success of LCS journeymen Moon and Altec gives this team some measure of optimism heading into the off-season, and it will be interesting to see how successful this wild-card team can be in the 2017 Summer Split. 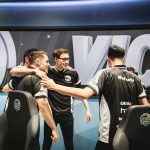 Sunday sees what could be an exciting conclusion to the NA LCS Spring Playoffs: Team SoloMid taking on Cloud9 for the 2017 NA LCS Spring Split Championship.